Let's go to SQL Tutorial here. You'll just need to experience it. Experience more. 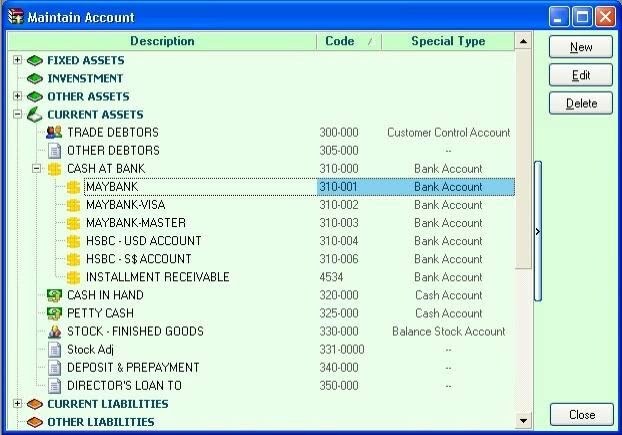 SQL Account is more than just a tool for you to enter financial record. It has an ecosystem of powerful component such as security, flexible user access control, 24x7 data backup, information search and inquiry, command navigator, customizable grid and reports, document drill down, DIY field and scripts and so much more. 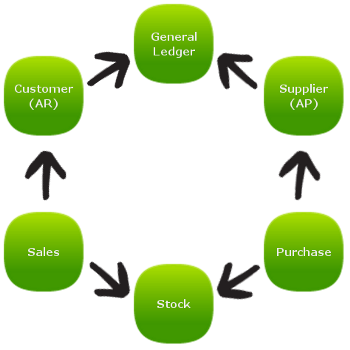 General Ledger. It's easy to manage and track your company's accounting records. What's unique? Create and manage accounting records by project or department so you can easily keep track and analyze your company's performance. It also supports odd financial date (e.g: 22 Aug 2011 to 31 Aug 2011) so you can get started from any period you wish. Customer. Keep your customers in touch. What's unique? SQL Account supports special aging (e.g: 0-7, 0-9 days and etc.) apart from the standard aging, all built-in. 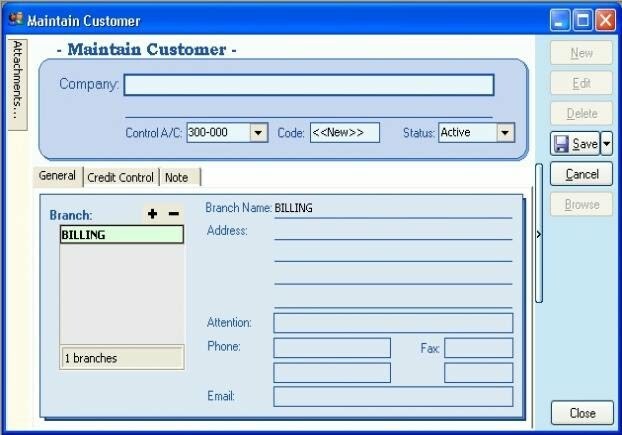 It also features Advance Credit Control, a feature that lets you set credit limit and overdue limit for each customer. Supplier. Manage and keep your supply chain in check. What's unique? Similar to Customer module, the Supplier module also supports special aging (e.g: 0-7, 0-9 days and etc.) apart from the standard aging, all built-in. 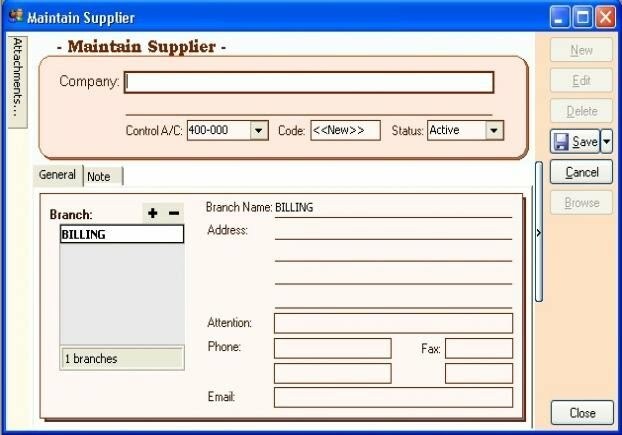 It also features Advance Credit Control, a feature that lets you set credit limit and overdue limit for each supplier.